Playworks Detroit improves the health and wellness of children by increasing opportunities for safe, physical activity and meaningful play. Since 2010, Playworks has been changing the lives of youngsters through partnerships with low income schools and community initiatives. 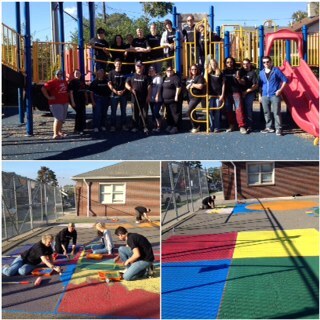 Now in 13 schools throughout Metro Detroit, Playworks is expanding due to a new partnership with the Detroit Lions. 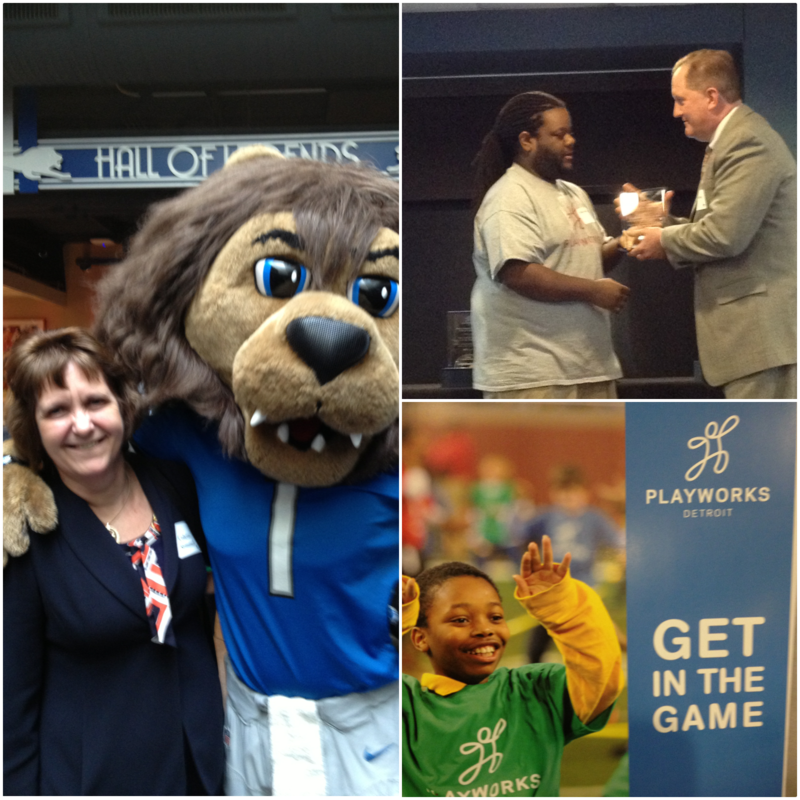 Last week, I had the opportunity to attend the 2013 Playworks Get in the Game Luncheon. The Game Changer Awards were given to these community partners: Beaumont Health System , Fair Food Network, Just Speak, Detroit Regional Chamber and Bloomfield Hills School District PTO. David McGhee, a motivational speaker and an instructor at Mott Community College, addressed the crowd with a powerful message of believing in students.